Our Construction Division has dedicated Quantity Surveyors, Estimators, Project Managers and operatives. This allows a tailored approach to large scale projects. G C Construction ensures our approved subcontractors undergo a rigorous assessment process. We work in partnership with key subcontractors and suppliers to ensure the quality standard remains high throughout the project. 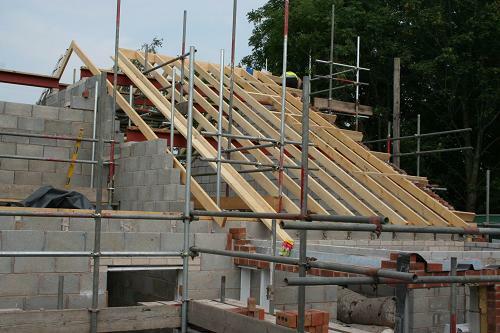 Our experience includes commercial and residential builds, new builds, alterations and refurbishments. Clients range from private individuals, private companies, local authorities and RSL’s. This wide range of experience ensures that any project G C Construction undertakes will be completed to the highest possible standard and in the most efficient and cost effective manner. Our building contractor’s division works closely will all other departments, including design, to offer clients value engineering solutions throughout all stages of the job. Difficult refurbishments and renovation projects are undertaken with flexibility, skill and cost savings. Tight deadlines and ambitious programmes are also met as a result of continued and direct involvement in the construction. This excellent understanding of the construction process and being able to see development projects through to completion, in turn, reassures joint venture partners, funding partners and investors. G C Construction’s progressive and dynamic approach to the management of construction projects has gained the company’s outstanding recognition in the industry, which has led to a successful delivery of completed projects within its time schedule and on budget. We place client satisfaction at the very heart of our business. Meeting and exceeding clients’ expectations is driven by strong leadership and an organisational culture of continual improvement.